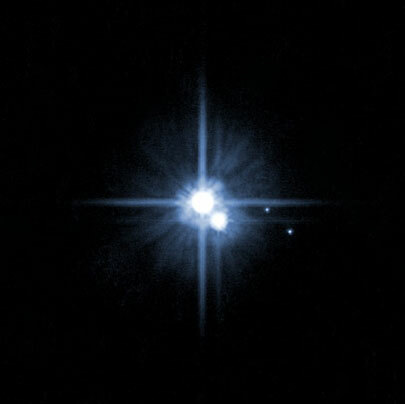 Tomorrow, the Space Probe New Horizons will begin its historic flyby of the Dwarf Planet Pluto. 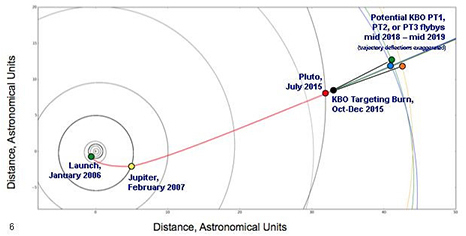 Launched in 2006, New Horizons quietly ground its way out to theKuiper belt object over the majority of a decade and now is within hours of cruising around Pluto in a series of flybys. telescope and were, to put it mildly, not adequete. But in the past few days as New Horizons approaches Pluto it has whetted out appetites. Details are now visible, including geological details. Once the flyby starts we should get more and more details. Once Pluto is reached, New Horizons will do several flybys over the course of the next five months. Afterwards, depending on NASA’s whims and New Horizon’s remaining functionality it will try to study other Kuiper Belt objects. New Horizons actually has a spare hydrazine fuel tank for this purpose but that may not ensure functionality. The likey targets are the might-as-well-be-unnamed PT1, PT2 or PT3. Of those, PT1 is ceratinly reachable, the others potentially reachable. 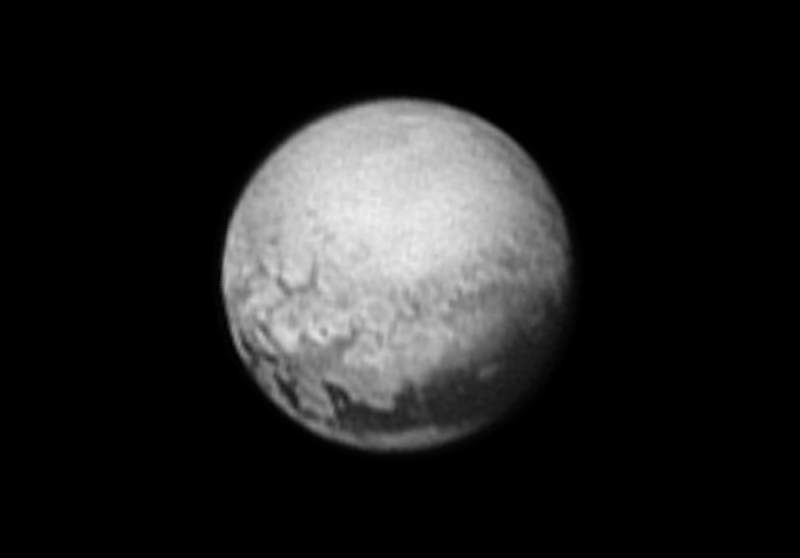 Interestingly enough, PT1 was discovered using Hubble images some 8 years after New Horizons was launched.